RBI Does Not Cut Interest Rates. Everyone Clean Bowled. On Nov 8, 2016, Govt. demonetized the banknotes of Rs.500 and Rs.1000. However, the new notes issued as replacement by the RBI, are still well short of the total amount returned by the people in old currency notes. Consequently, banks are sitting on tons and tons of deposits. Secondly, sharp reduction in the availability of cash has hurt the economy. Nearly all businesses have suffered a loss. Hence, it was widely believed and expected, by one and almost all, that RBI would cut the policy rates to reduce the quantum of idle deposits and provide stimulus to growth. But, with no reduction in the interest rates, RBI has stunned the bankers, financial experts and all. They all were eagerly waiting for at least a 0.25% drop, if not an ambitious 0.50-0.75% cut. While announcing its Fifth Bi-monthly Monetary Policy on Dec 7, 2016, Reserve Bank of India declared that it was keeping the policy interest rates unchanged. Consequently, there is no 'immediate' relief to the borrowers, who were expecting a bonanza. According to RBI, we are living in times of 'heightened uncertainty'. a. US is most likely to soon increase its interest rates. This sword has been hanging on the world financial markets, for more than a year now. If it so happens, the international financial markets could face massive volatility in the capital flows. This may have serious and adverse impact on the emerging market economies like India. b. It is still early days to assess how much, and for how long, the currency replacement process will slow down the Indian economy. If the effect turns out to be short-lived, then the growth will soon bounceback. RBI would not like its monetary policy stance to be influenced by short term events. c. Food prices in general continue to remain firm. Even the non-food inflation is experiencing 'downward inflexibility'. Moreover, after bottoming out, the crude prices too have jumped up in recent weeks. As such, there is still a risk in the economy that inflation may harden, which is still projected at 5% in Q4 of 2016-17. 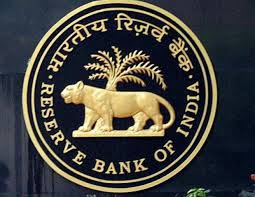 In view of the aforesaid factors, that contribute to increased uncertainty in the economy, RBI thought it prudent to wait and watch the events unfolding, before taking any decision on the interest rates. Of course, it did add that its stance is 'accommodative'. So RBI may actively consider a rate reduction in the near future, once there is more clarity on the effect of these recent developments on the economy. 5th Bi-monthly Monetary Policy Resolution, 2016-17 by the Reserve Bank of India. There have been numerous estimates floating around, regarding the loss to the economic growth. Some have even predicted a catastrophic 3%+ drop in the GDP. Given that such a gigantic demonetization exercise has never been attempted in the past, anywhere in the world, one guess is as good (or as bad) the other. In this regards, RBI's own estimates are a 0.50% fall in the economic growth in the Financial Year 2016-17, from 7.6% to 7.1%. On one hand, the cash shortage on account of demonetization will cause short-run disruptions. But, on the other hand, higher agricultural output and 7th Pay Commission payout, will boost consumption demand. So the risks and opportunities are nearly balanced. Besides the foregoing discussion on 'not tinkering with the interest rate' and 'the likely impact on growth', RBI made the following observations in its Monetary Policy Report. There is a modest pickup in the global growth in the 2nd half of 2016 vis-a-vis the 1st half. While advanced economies have shown improvement, the stress on the emerging economies has eased a bit. World trade is showing signs of stabilizing after hitting the bottom in Jul-Aug. Unexpected results of the recent US Presidential elections and the Brexit earlier, have strongly impacted the international financial markets, affecting both the currencies and the equity markets. OPEC's decision to cut output has led to higher crude oil prices. Domestically, industrial growth was subdued in Q2 2016-17 due to weak demand and firming of input costs for the industry. This weakness will continue in Q3 (Oct-Dec) also, due to the withdrawal of currency notes. Agricultural sector has done well in Q2 and even the Q3 projections look good, on the back of increase in rabi sowing. Financial Services could receive a boost in the near-term, due to sudden massive inflow of low-cost deposits. After a sustained fall for many months, India’s merchandise exports turned positive in Sept and Oct. Even the net FDI (Foreign Direct Investment) was reasonably robust. With imports within reasonable levels, current account deficit is well within manageable levels. This is the sum and substance of the Fifth Bi-monthly Monetary Policy Resolution of the Monetary Policy Committee (MPC), Reserve Bank of India for the year 2016-17.